LATEST ISSUE IN SHOPS NOW! FOR SPECIAL OFFERS, NEWS, PRODUCTS, COMPETITIONS & MORE, CLICK THE LINK BELOW & SEND US YOUR EMAIL ADDRESS! Welcome to the online home of Retro Ford Magazine, the hardest title of its kind which was launched back in 2005. The original aim was to bring you the toughest built classic Fords along with technical guides and buying advice every month and we’ve continued this tradition ever since. 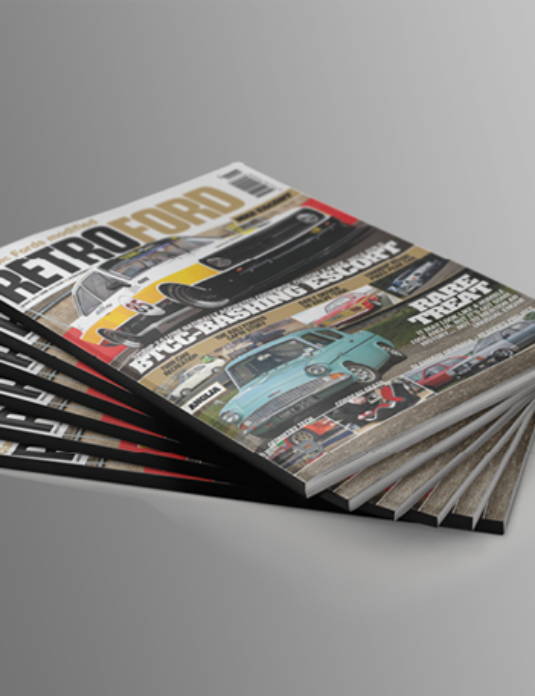 Combined with over 188k likes on our Facebook page, Retro Ford Magazine is already strongly established as the most widely read magazine of its nature. With a growing database of digital readers we plan to combine our knowledge of the industry into this very website and bring more of what you like as well as offering you great online shopping deals. Be sure to come back to see our progress. Enjoy! BUY SUBSCRIPTIONS & BACK ISSUES!